This time of year there are so many topics to choose from regarding organization. Today I want to talk about Gift Giving, having a Gift Wrapping Station and some strategies to make it easier for you throughout the year. At the beginning of the year, sit down with a calendar and make a list of Birthdays, Anniversaries, Graduations, Showers (Bridal or Baby) or Events you would have to attend that would require purchasing a gift or even giving a card. Make that list and place it in your wallet. As you are shopping through the year, keep your eyes open for items to purchase for these individuals. It’s especially fun if you find gift ideas on sale! Take those purchased items and write down on the list who you purchased them for. Some clients I’ve worked with have a stock pile of items they have purchased because these items were inexpensive. But those items sit on their shelves and never get given as a gift. Don’t purchase something because it’s “cheap.” Only purchase it because you have a specific person to give it to. Place these items in one designated place. Have a “Gift Wrapping” Station. All wrapping items are stored in this area and this is where you do your wrapping. Consider purchasing a large tote or basket for your wrapping paper, gift bags and tissue paper. Consider another tote or basket for labels, ribbons, ribbon curler, gift cards and bubble wrap. Consider a last tote for your scissors, scissor sharpener, tape, packing tape, pens, and markers. I love Longaberger Baskets and have fun using them for storage items. Also, Thirty One has great tote ideas. Place an envelope in one of these totes or baskets for storing gift receipts, price tags that have fallen off, or your shipping invoices. Throw away that wrapping paper that’s damaged or the smaller pieces that probably won’t get used. 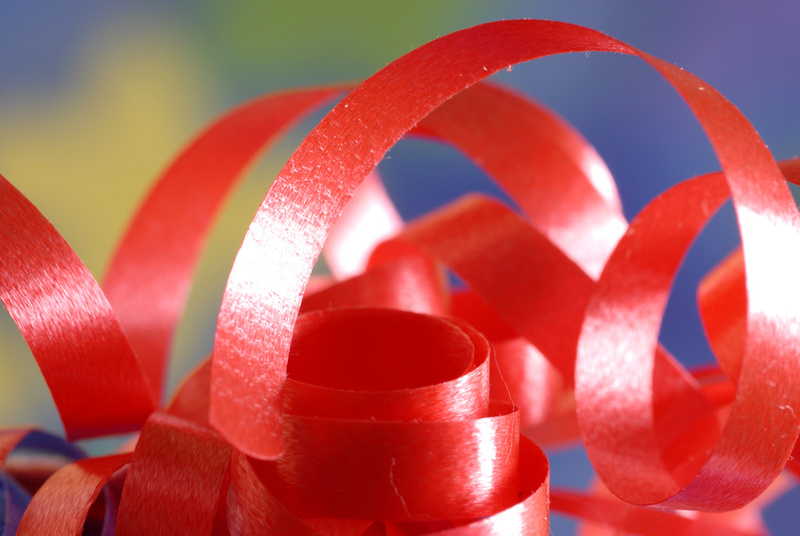 Consider storing your ribbon by color. I have about 6 small Rubbermaid plastic containers and have my ribbons stored in there by color: red, white, orange, brown, green, blue, to name a few. When I need a ribbon, it’s easy to decide because all the colors are in separate containers. There will be individuals that you only will send a card to. I have found that SendOutCards is a wonderful way to send cards. It’s efficient and cheaper than purchasing a card at the store. SendOutCards does the printing, placing the postage on the envelope and mailing it for you. You can even have your handwriting as a font so it looks like you’ve written it. I love the ease of using this system. You can check this out by going to www.sendoutcards.com/RSanchez. Well I hope these tips shed some light for you in the Gift Giving arena. They are simple, easy to implement and will save you a tremendous amount of time when it comes time to wrap.